BottleRock Presents: Mondavi Concert Series | Giveaways & Announcements! Heating up your summer with music, wine, & food under the stars. 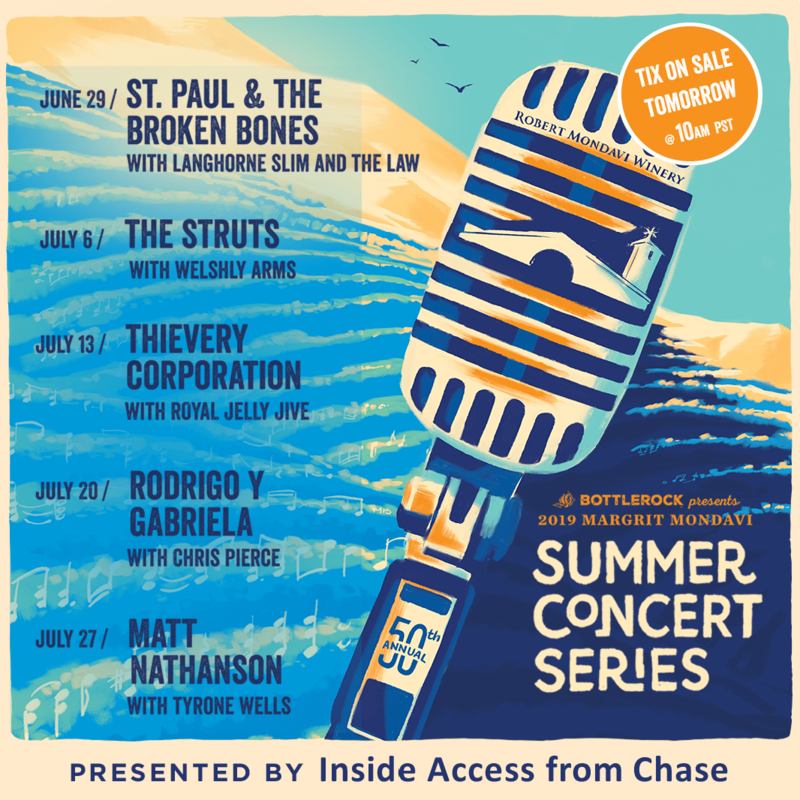 BottleRock Presents: Margrit Mondavi Summer Concert Series is all set against the beautiful backdrop of the To Kalon Vineyard at Robert Mondavi Winery. Presented by Inside Access from Chase. Monday, April 8th @ 8:00am: Good Morning, Bob! morning show will announce the lineup. + ticket giveaways before you can even buy the tickets! Listen ALL day, we are giving away a pair of tickets in each show – Bob, Rick, & Julie. + + + tickets giveaways Tuesday, 4/9 – Sunday, 4/14 ! ! ! You have to listen to win them ! ! !